Fast forward to now ... the color freak is back. She first emerged in late 2010 with the red highlights. Then she re-appeared this summer with the ombre effect. Quickly bored with the ombre, which didn't take too well (it looks more pronounced in photos), I decided to do blonde highlights. Unfortunately, after 50 minutes, the result was a mere copper, but it's growing on me. I foresee more highlighting in the near future. 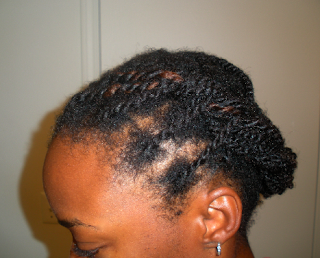 As for finalizing my regimen? I'm currently experimenting with an adjusted protective style routine. 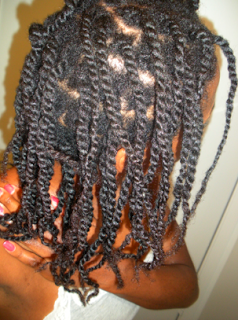 If you've been following me for a while, you'll know that I spent the past few years wearing twists usually every 4 weeks back to back. 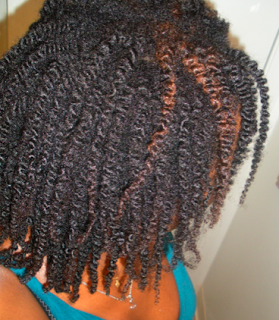 Now I'm toying with wearing twists for 3 weeks and an unseparated twist-out for 1 week. This month is my second run in a row. Twists have shrunken and been washed (using the scalp method). In the middle of week #2. 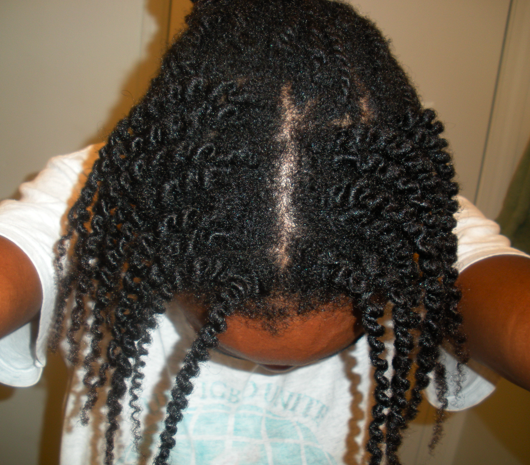 Prepping for highlights by undo-ing a few twists near my part. 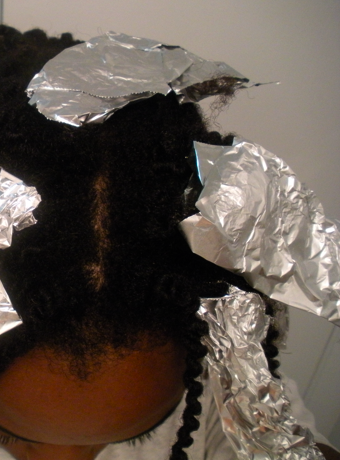 Highlighted sections are covered with foil to separate from the rest of my hair. Copper color after 50 minutes. (Was going for blonde, but hey. 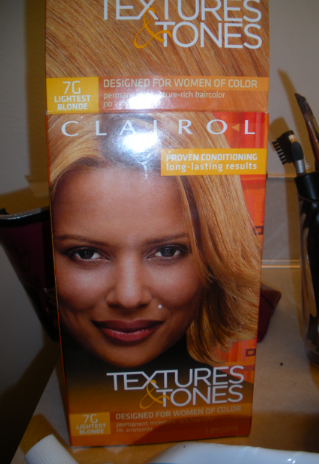 The color I used: "7G, Lightest Blonde". 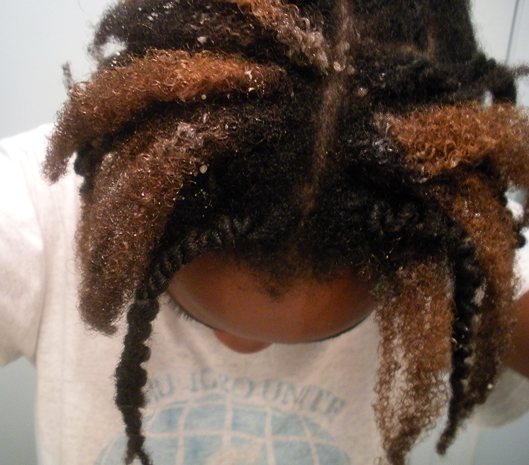 I'm toying with using a bleach kit (more effective) in the future but I'm still researching the adverse effects of that. Clairol Textures & Tones is actually one of the safest dyes when it comes to natural hair. 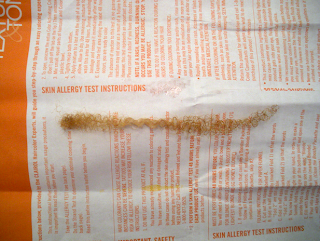 My strand test turned blonde. However, I looked at it after a couple of hours. I'm not quite sure at exactly what point in time (definitely after 50 minutes though) that it turned this color. 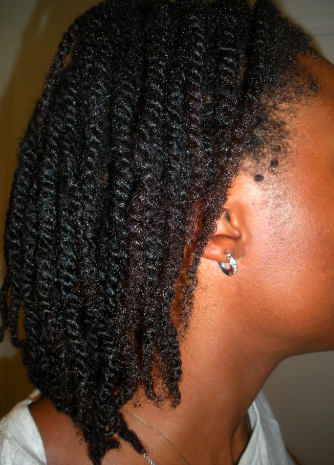 Highlighted sections are twisted back up to blend in with the rest of my twists. You are definitely inspiring me to color my hair. But I want my hair to get healthier and longer before I attempt another color treatment. Thanks for sharing! The copper is very pretty to me. Even if that wasn't the desired color that's a color I would like to see in my hair. 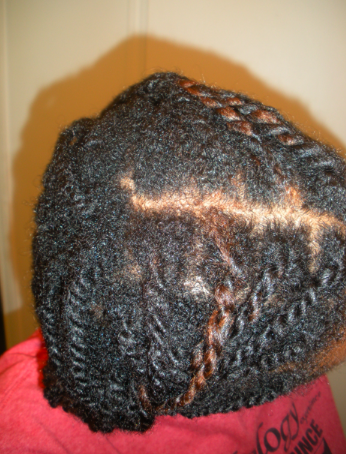 If you're adventurous you could try highlights all over using two or three colors. That could be fun.